React is built with performance in mind. But when is React slow? 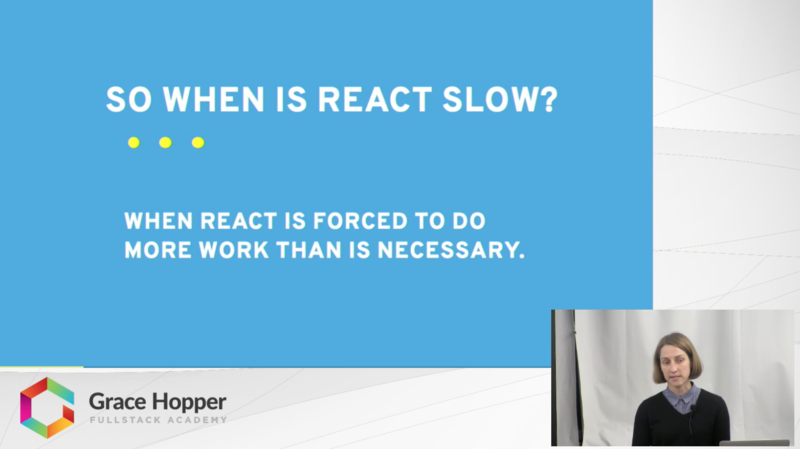 In this video, Garity Chapman talks about common bottlenecks in React and when you might be making your program work harder than it should. React offers powerful tools to measure and profile performance. Garity live demos profiling an application, and shows fixes to each of the program’s bottlenecks.